Renewable energy (sometimes called "green" energy) comes from wind, sunshine, and the movement of water – you can also generate energy from the natural breakdown of food and farm waste. 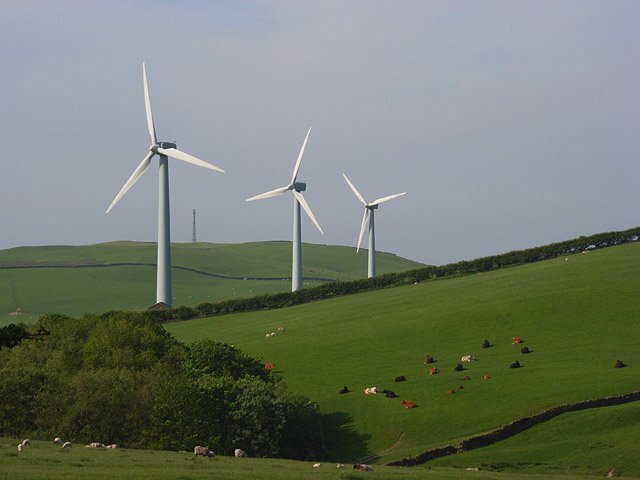 We use wind turbines, solar panels, and anaerobic digestion plants to generate renewable energy, and you might see these while driving out in the countryside. Renewable energy produces no emissions, so doesn't create pollution or contribute to global warming. Renewable energy is cheap to make – according to BEIS, it's cheaper than coal and nuclear, and only a little more expensive than gas – and you'll typically pay less on our Green tariffs than Big Six Standard Variable Tariffs. Combined with storage technology (batteries, for example) renewable energy is a reliable source of power that frees us from volatile fuel markets, lowers our energy bills, and secures energy independence for the UK. If renewable energy makes you scratch your head in wonder, don’t panic. Here’s a breakdown of the basics. Renewable energy uses the power of the sun, wind, and water to generate electricity. We call it renewable because, unlike fossil fuels (coal, oil, and gas), the supply is limitless. The sun will always be there, the wind will always blow, and – better yet – they don't cost a penny. Confusingly, it’s often called “green” energy. Not because it’s made from trees, but because it’s kinder to the planet – renewables don’t release any harmful emissions so don’t contribute to global warming (but fossil fuels do). Our standard tariff aims to be 50% renewable, while our Green and Super Green tariffs give 100% renewable energy all year round. (Update May 2018: All our tariffs are now 100% renewable electricity) While we don't offer "green" gas, we measure the gas you use and then offset the carbon through projects such as reducing deforestation in the Amazon rainforest. Renewable energy comes in many forms, and chances are you’ve seen some of them while driving in the countryside. Solar energy comes from solar panels – the rows of greyish-blue squares you see angled towards the sun (and in the picture below). They’re often arranged in fields and cohabit quite nicely with sheep and other grazing animals. The panels are “photovoltaic”, meaning when sunlight hits the surface it converts to electricity. Wind energy comes from wind turbines – the windmill-like structures you see turning in the breeze. Their blades catch the air and spin, just like toy pinwheels, and the rotation turns a turbine that generates electricity. Wind farms can be onshore (on land) or offshore (at sea) – each has its benefits but onshore wind is the more common as it’s cheaper to install and maintain. Marine energy is less common than solar or wind, and includes many designs – from floating snake-like machines converting wave energy in the ocean, to underwater turbines that convert tidal energy at river estuaries. 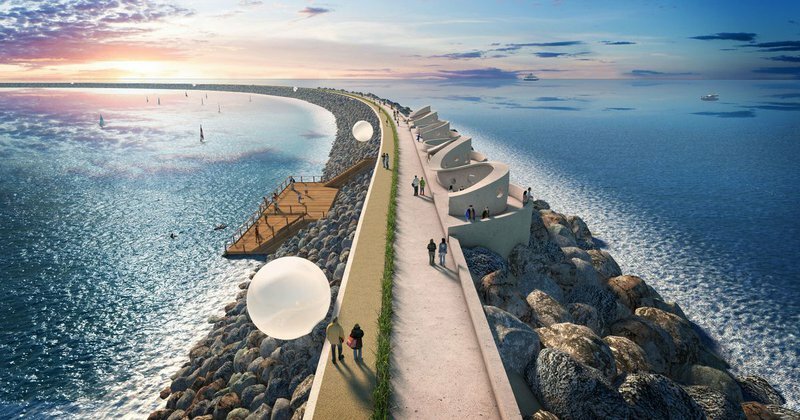 A £1.3bn tidal energy project in Swansea Bay might soon get the go-ahead by government and could generate 10% of the UK’s electricity. 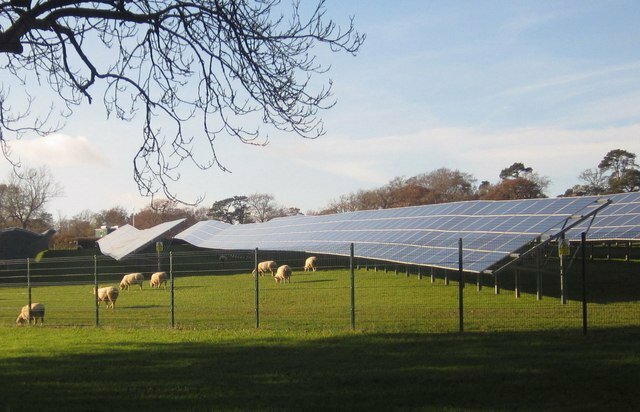 At Octopus Energy, we have exclusive contracts with eight solar farms and six anaerobic digestion sites. 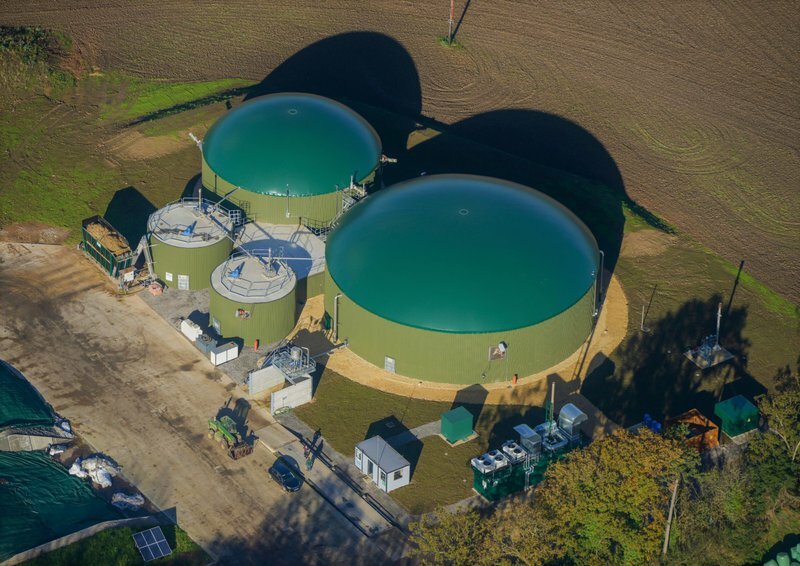 Anaerobic digestion is a bit different to the others – it converts waste (like rotten veg and animal manure) into a special biogas that is burned to create electricity. First, renewable energy doesn’t pollute the air. Fossil fuels release nasty pollutants when burned, creating a dangerous smog that lingers over towns and cities. Every year, air pollution causes thousands of premature deaths. It damages our respiratory systems, and puts the vulnerable – young children, the elderly, and those with existing illness – most at risk. Renewables, on the other hand, produce no emissions, so don't poison our air. Importantly for the planet, renewables don’t release carbon dioxide (CO²), the greenhouse gas blamed for global warming. CO² acts like a blanket that traps heat in the atmosphere, and while our planet has a natural carbon cycle that regulates CO² over thousands of years, burning fossil fuels upsets this balance. Humans emit CO² by the megaton without removing any, which leaves an excess in the atmosphere. Today, CO² is at its highest level in 400,000 years, and the planet is warming. A global temperature rise of just a few degrees can raise sea levels, worsen weather systems, melt glaciers and sea ice, and harm our ecosystems, from rainforests to coral reefs. Droughts, floods, and famine could devastate communities and livelihoods. Whole coastlines could disappear, and their people with them. We’ve a duty to our planet, communities, and ourselves to stop relying on fossil fuels and choose renewable energy. Watch 25 years of Arctic sea ice disappear as a result of increasing global temperatures in the 60 second video below. Over the last 40 years, the cost of generating renewable energy has plummeted. Solar cells have dropped 93.5% in just the last decade – sitting at just $0.29/watt*. And according to this BEIS report, solar and wind are now cheaper to generate than coal and nuclear, and only a little more expensive than gas. Our green tariffs rank among the cheapest renewable plans on the market, and cheaper than many Big Six Standard Variable Tariffs (SVTs). Our Green tariff in London costs just 13p per kWh – SSE, Scottish Power, and Npower all charge 16p per kWh for their standard non-renewable tariffs**. Going green has never been easier or more affordable. Renewables can even earn you money. Install solar panels on your roof and either use the energy you generate to save on bills or sell it back to the grid. In the future, you could even trade this energy with other people in your own community “micro-grid”. These micro-grids might one day be powered by solar or wind farms local to you, making your own community energy-independent, and reducing demand on the grid. Renewable energy has taken some flak over the years for its dependence on government subsidies. Some argue that without subsidies, they'd fail. But did you know that fossil fuels receive 4 times as much government money as renewables? Renewables give us cheaper energy, free us from volatile fuel markets, and secure our supply. Like all emerging technology, there must be guaranteed returns to attract the investment needed to develop it. As the technology improves the need for subsidies will diminish, and eventually vanish altogether. The UK set a new solar record in 2017, reaching 8.7 GW (supplying a quarter of UK demand) on Friday 26th May. It broke several records in 2016, too, having out-generated coal for six months from May to September. For a day in both April and May no coal was needed at all. You can check the UK’s energy mix live on Gridwatch, though bear in mind this only monitors metered generation (that which is reported to industry databases) – it doesn't include all solar and wind generation. People worry what happens when the sun isn’t shining and the wind isn’t blowing, and there are two ways to overcome this. One, include a more consistent renewable into the mix – our anaerobic digestion plants supplement our solar farms so we’re generating green energy 24-7. Two, include storage. From batteries to pumped hydro, our capacity to store energy is just as important as generating it. Grid-level storage and improvements to the grid itself will make managing renewables easier. 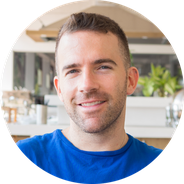 By knowing what they’re generating and when, how much is on standby in storage, and where that energy is needed most, we can cover all our needs all of the time. A proportion of the standard fuel mix over the National Grid is renewable. Some companies market this element as a “green” tariff, without adding any extra investment. Others simply buy their renewable energy from the market, trading in certificates rather than putting money into renewable projects. At Octopus Energy, we do things differently. We contract directly with renewable sites to generate energy for our customers exclusively, so every person on a green tariff contributes to the development and success of new sites. Renewable energy is here to last. With no fuels to war over, no emissions to counteract, and a potentially limitless supply there’s no reason why – with the right government, industry, and public support – renewable energy can’t be the alternative to fossil fuels we so desperately need. But to meet our ever-growing demand for energy, the right technology is essential – whether it’s improving the efficiency of solar panels so they convert more sunlight into electricity, building bigger batteries, or designing more bird-friendly wind turbines, there’s still a lot of work to do. The more people buy renewable energy, the more will be invested in designing and building the machines to exploit it. We’re a long way off but making great progress.